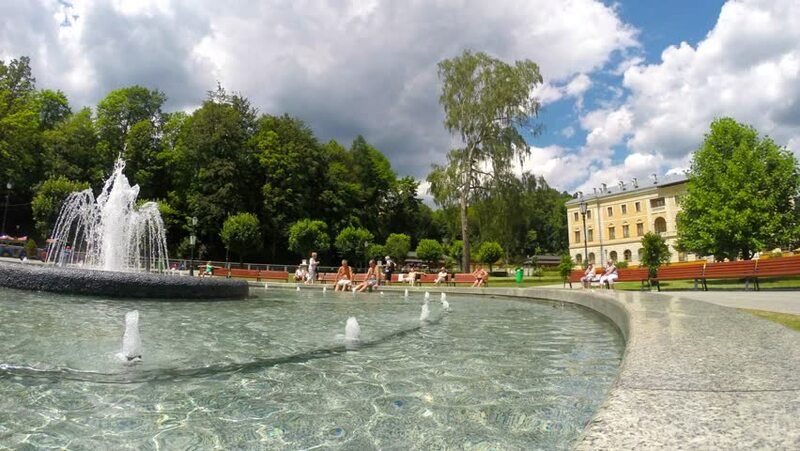 Timelapse of a fountain in Krynica Zdroj, Poland. Some dark clouds. hd00:27Royal Palace on the Water in the Lazienki Park (Royal Baths) in Warsaw, Poland,. 2018. Beautiful architecture of ancient palaces on the park tereretry. Many tourists visit the park royal lazenki . hd00:13FURNAS, AZORES, PORTUGAL - JUNE 27, 2017: Swimming in exotic lake of natural mineral water of yellow color in Terra Nostra Garden in Furnas town, located on Sao Miguel island of Azores. hd00:20The Lazienki palace in Lazienki Park, Warsaw. Lazienki Krolewskie.